Blossom is a Swedish singer, dancer, publisher, fitness coach and personal trainer. 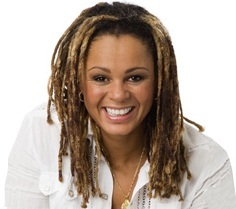 She featured in musicals and represented Sweden in the Eurovision Song Contest 2002 as a member of Afro-dite with the song Never Let It Go, and finished 8th. The group released an album and the Never Let It Go single stayed in the Swedish chart for 17 weeks, peaking at no 1. They are competing in 2012 years Melodifestivalen and who know maybe they will go all the way this time? She has released training videos and books, run her own monthly publication named after her, Blossom Magazine. Blossom has previously hosted her own fitness program, Toppform on SVT as well as being featured in various entertainment television shows. She is one of the most well knowned Swedish fitness and entertainment profiles. And what most don't know is that she is also a passionate pole dancer! We can't tell you how exithed and proud we are to have our student (!!) Blossom guide us trough the evening! Justine started dancing at the age of 3, training in ballet, jazz, contemporary and singing throughout her childhood. With Honours in her RAD Advanced Ballet training, and a quarter finalist in the prestigious Prix de Lausanne competition at the age of 15, she was soon accepted to the Hamburg Ballet School where she completed her professional ballet training and performed with the school and company on stages around Germany. After an injury left her unable to dance en pointe, Justine went home to Australia and began working in finance. Financial services however led her to trading and collateral management in leading investment banks in London in a successful career spanning almost a decade. But her true love has always been dance, and fate would have it that a gym in London 2007, tempted Justine to try Pole Dancing - and she was captivated by the strength, beautiful lines, and uniqueness of the art, motivating her to train and start performing again, this time in the world of cabaret and acrobatic pole dancing, where she has already established herself firmly amongst the elite polers of Britain, building a solid reputation as a respected performer, choreographer and instructor. She is a judge and guest performer at the UK's biggest Amateur Pole Dance Competition, UKAPP, represents X-Pole as one of their feature models. was born in France where she studied different arts of dancing – including ballet and modern-jazz since the age of 3. She discovered Chinese Pole and Pole Dance during a trip when she was 17 with international aerialists. After a complete certification in Las Vegas with Fawnia Mondey-Dietrich, she opens the 1st studio in Germany entirely dedicated to Poles. Cologne Pole Fitness combines a lot of different dance styles and fitness, all of them using a pole as a dance partner. 2010 she was part of the jury in the French Championships in Paris. We welcome her back for the 2nd time! - Head Instructor Central Academy of Pole dance Russia. - World-class referee in cheerleading, including European championships. - Organizer of the annual championship of Miss Pole Dance Russia 2006 - 2011. 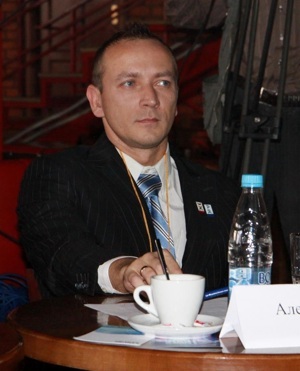 - Member of the Presidium of the Union of Euro Pole Sport. - Co-organizer of elite pole dancing TOP of Moscow. - The organizer of the European Championship pole dance & acrobatics 2011. - The organizer of the annual award The Spirit of the pylon. Born in Rome (Italy), Valeria studied and worked as an interpreter. She has a natural predisposition for dance, drama, music and singing. She is a showgirl and has been a model for years. In June 2010, after only a few months of pole dancing, she won the title of Italian Pole Dance Champion for the Pure Pole cathegory, the most thecnical one. In October 2010 she compeded at the World Pole Sport and Fitness Championship in Zurich. In February 2011 she performed in the most important Italian tv program: Sanremo Festival, thus bringing pole dance for the first time on her Country's tv and introducing it as a real sport. She is often part of various jury panels all over the world, such as the recent World Pole Sport and Fitness Championship 2011 in Budapest, and the British Isles Pole Dance Championship 2011. She has been the Cover Girl and Pole Star of the Month in October's issue of Pole2Pole Magazine. After hosting the last 2 years Battles, Eva has continued to entertain us! Trough radio and TV, we have seen her spread happiness all year around. Eva will focus on the entertainment in the competitors program. We are happy to welcome another DQ student to 2012's Battle!